A tree faller leaves a voice mail for my brother-in-law to confirm the day that he will fall two maples next to the deck but emphasizes that he does not want to be paid until he knows they are satisfied with the job. 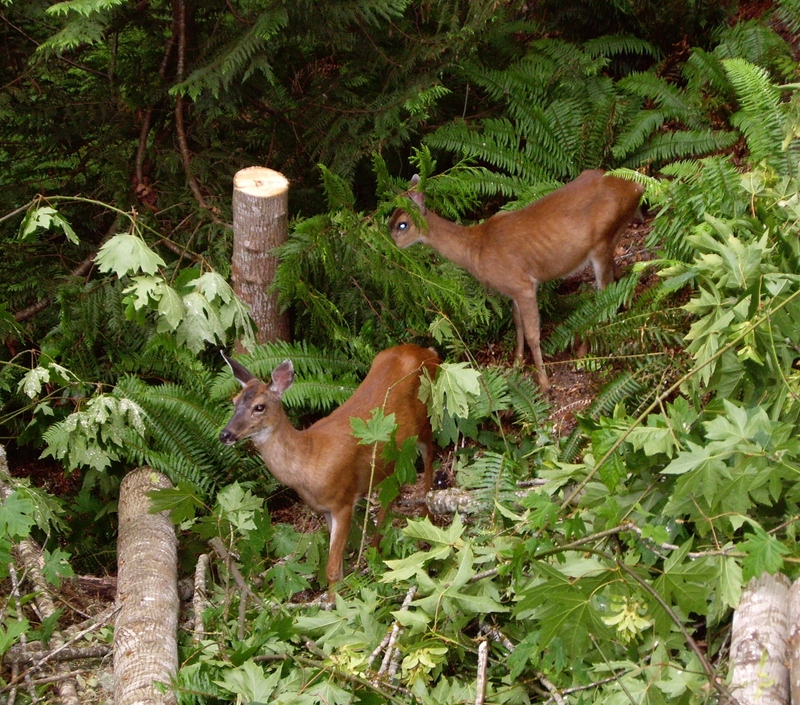 After the trees are down, we enjoy a parade of deer who find the leaves irresistably delicious. A couple of local girls stop by for a bite of maple leaf. So Canadian of them. One of the boys was not far behind. Browsing through the racks of a clothing boutique in Ganges, the lone salesperson asks if we mind if she pops next door to fetch a cup of tea. We do not, continuing to peruse the racks. A few minutes later she returns, apparently unconcerned about our honesty. I buy a shirt, thinking how this would never happen anywhere in Seattle. 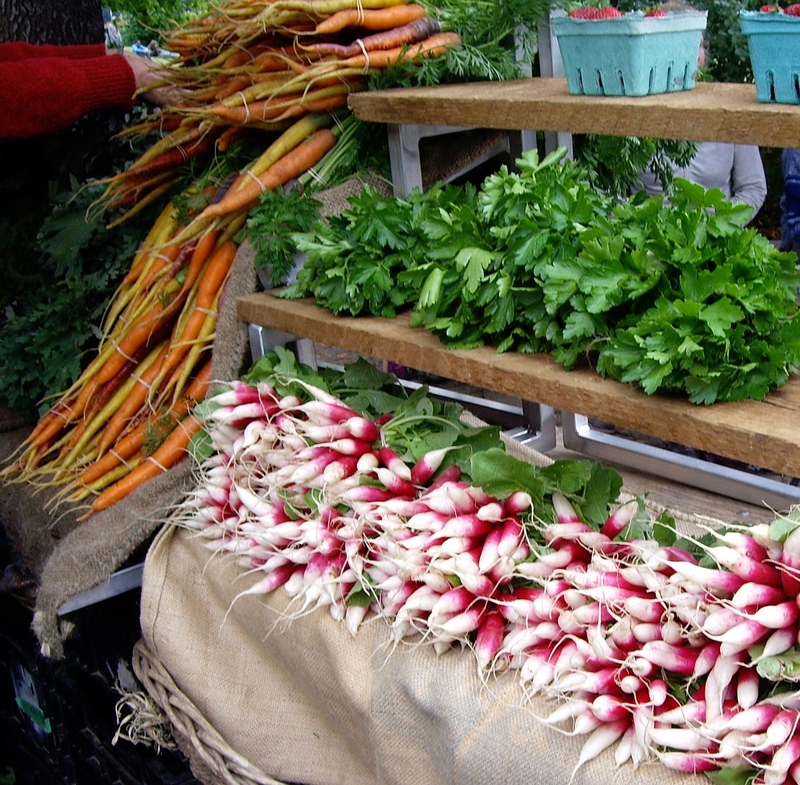 The Wednesday farmers market in Ganges offers local color. 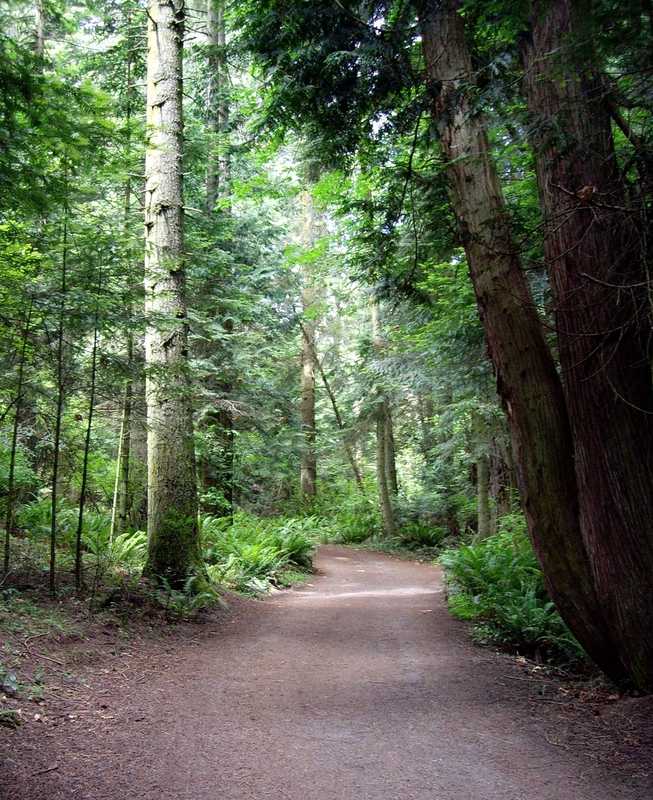 I discover that the campsite road through Ruckle Provincial Park offers a better path to the waterfront. 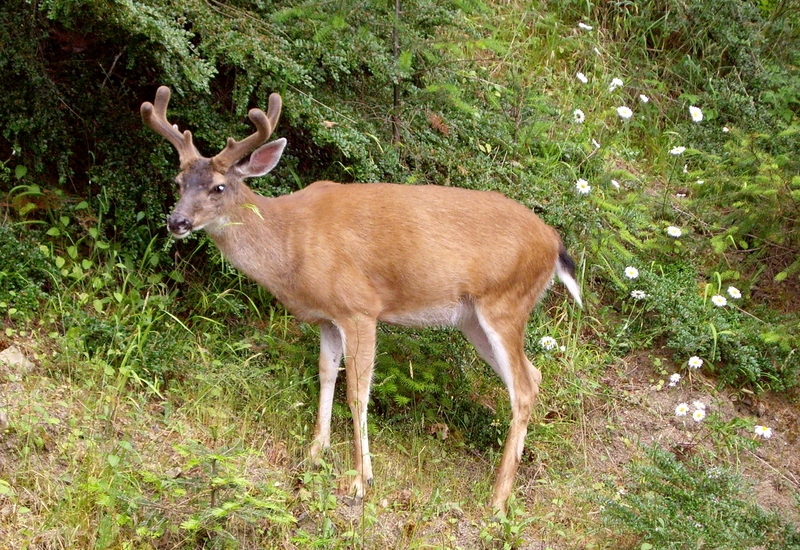 There are deer all along the path, but they decline to offer a photo-friendly shot. The views from Ruckle Provincial Park are not to be missed. 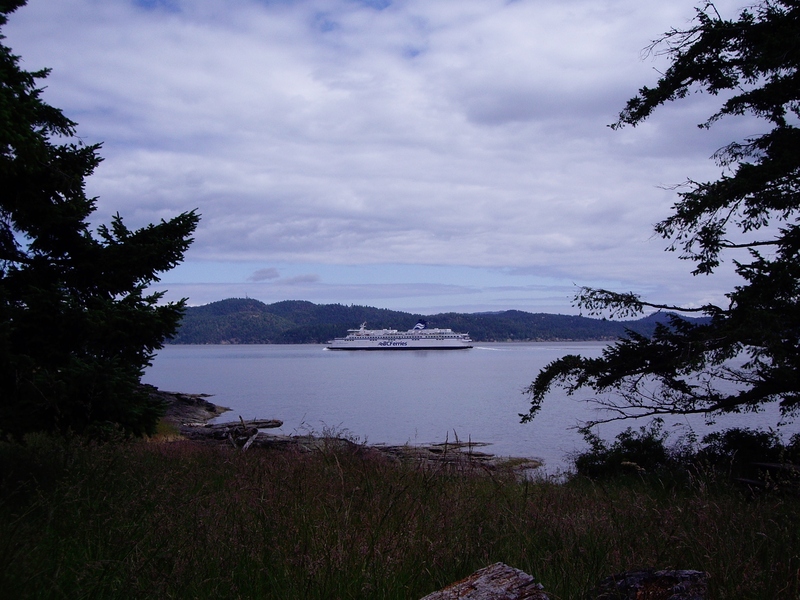 Time your walk to Ruckle’s beaches just right to see the ferries sail by. There’s nothing quite like the sun trickling through the giant trees of B.C. parks. 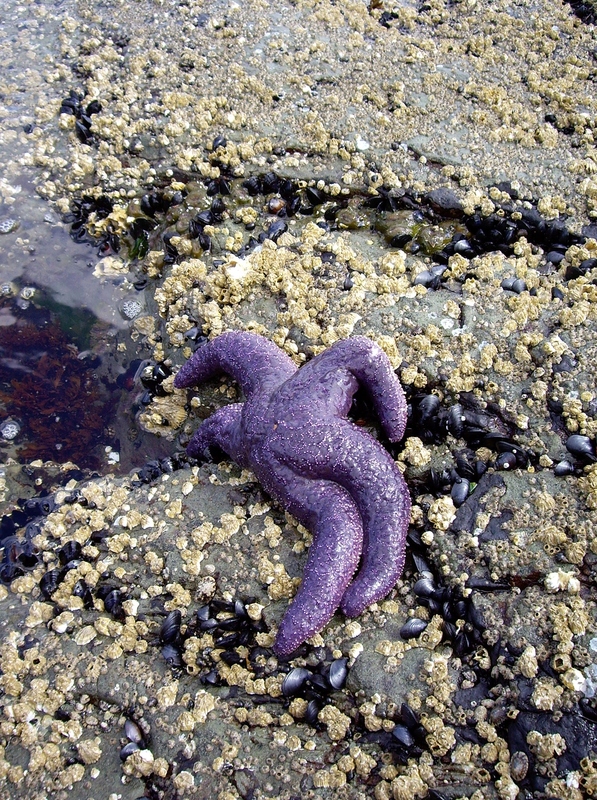 Finding a starfish takes me back 50 years to summers with my sister, exploring tidepools along the B.C. coast. 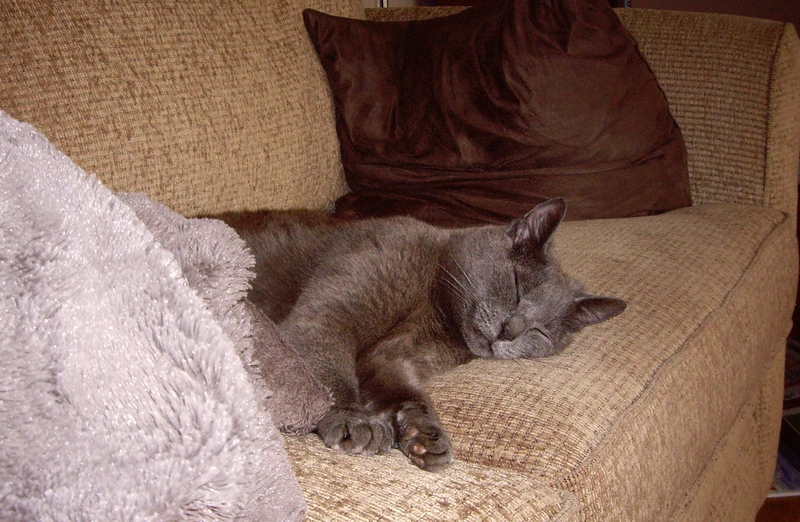 After a long day of adventures, Pebbles the cat, who was with us in spirit, has the right idea about how to spend the evening. Guess who gets the primo spot in the living room. 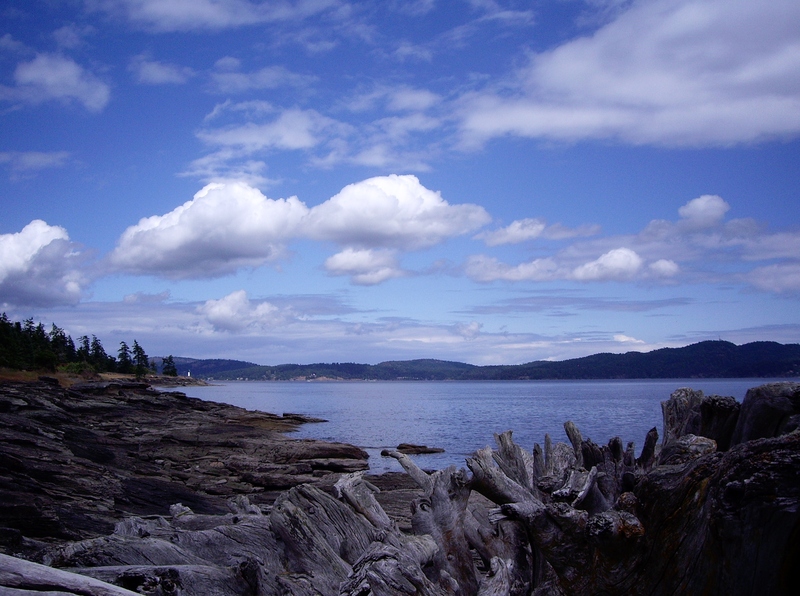 Next Postcards from Sidney, B.C.